Barneys Farm - Violator Kush. Free US delivery. We spent some time in the Himalayas and the Malana Valley collecting and carefully selecting the very best genetics from the region. The Malana Charas was selected for its potency and hash giving characteristics. Crossing with the pure Indica Hindu Kush gave birth to VIOLATOR KUSH™, a heavy producing Indica dominant strain. This plant grows short with big leaves, big stems and well developed side branches, which will need to be supported. VIOLATOR KUSH™ displays an extraordinary density of trichomes, with an amazing musty smell and taste. 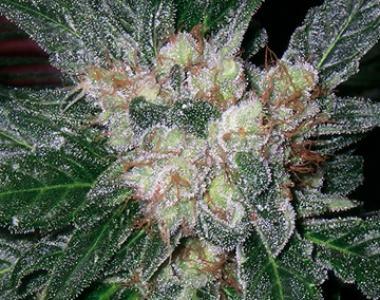 This strain will give an amazing and comfortable couch hugging effect.